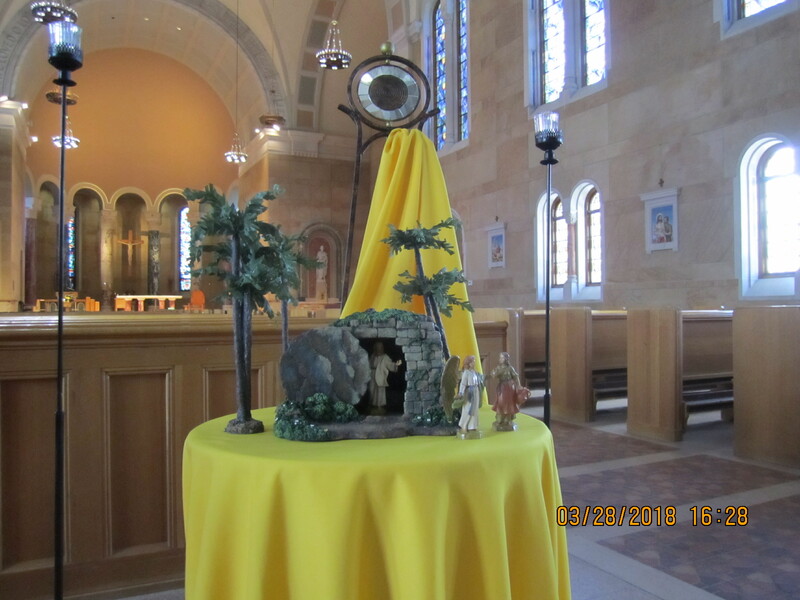 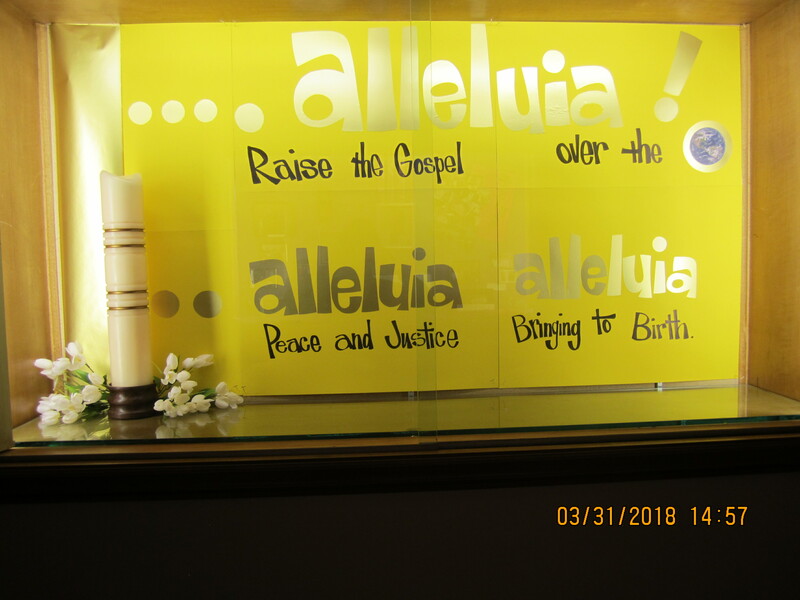 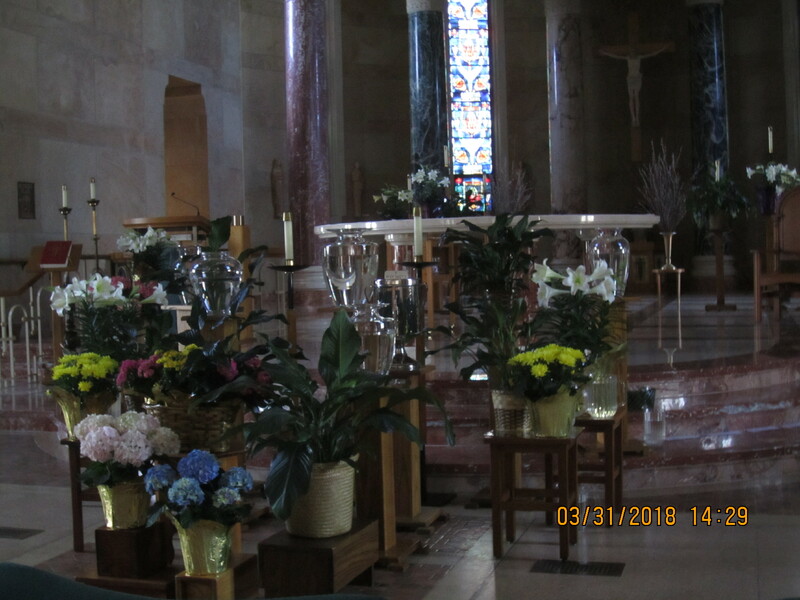 The Chapel here at the Franciscan Sisters Motherhouse is ready for the Triduum. But even as we celebrate the Holy Thursday liturgy we have our eyes fixed on Jerusalem and the promise Jesus holds out to us. On Sunday the Pro Ecclesia Sancta Sisters joined us for Eucharist followed by dinner and a short tour of beautiful Assisi Heights, Motherhouse of the Rochester Franciscans. Our young Sisters are busy with their youth apostolate at schools and parishes. 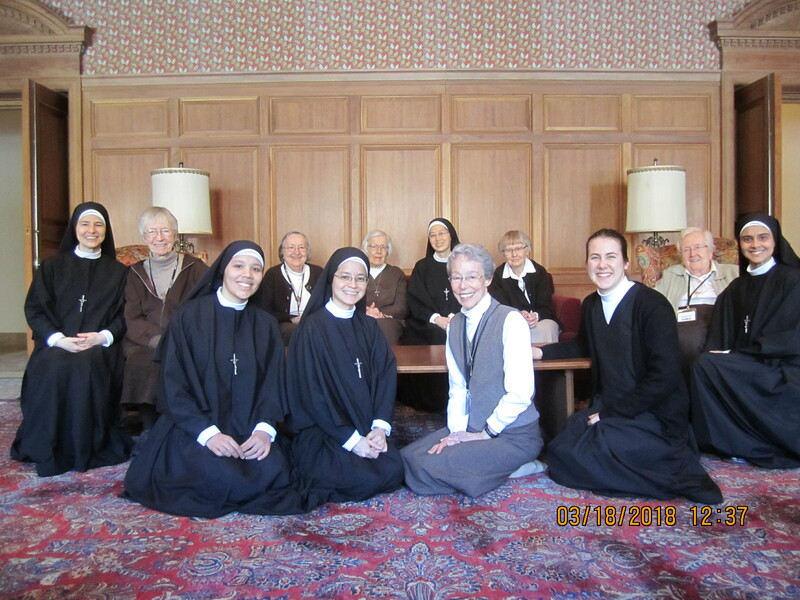 Postulant Mattie will soon leave for Lima to join five other young women as they begin their novitiate. 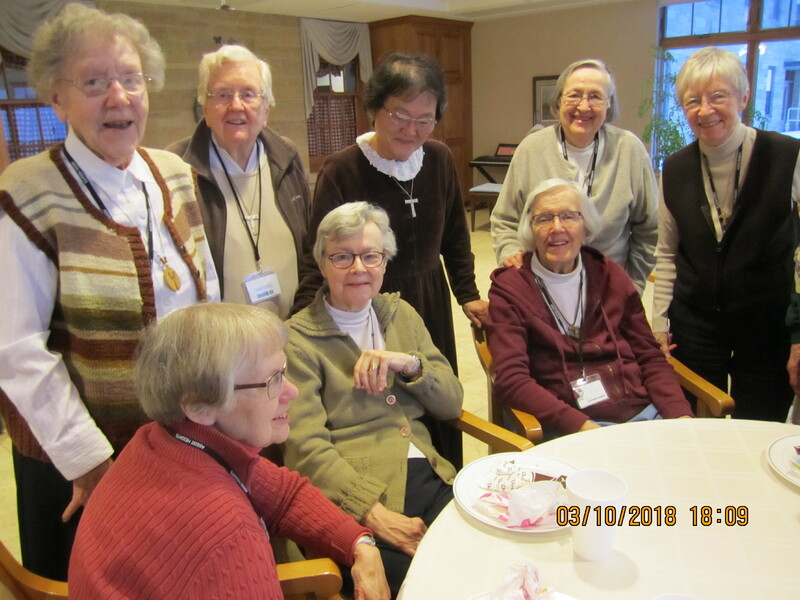 The Sisters gathered on the Third Floor sun porch to celebrate Sr. Margaret’s birthday. 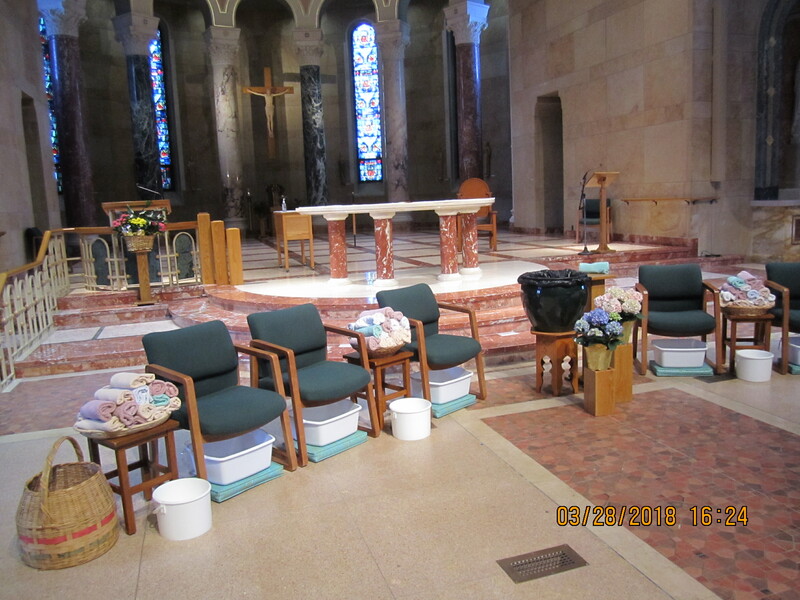 So many of you have reached out to us with words and gifts in our move to Rochester. 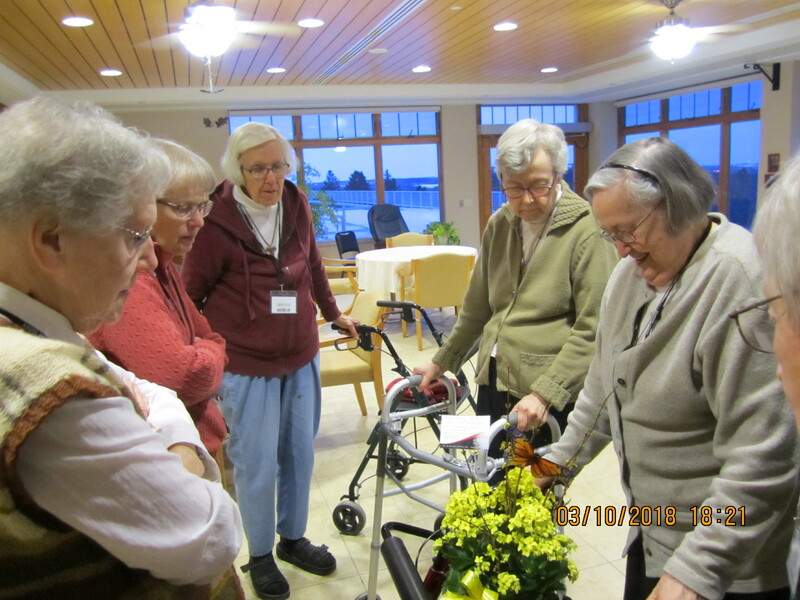 This beautiful bouquet of Kalanchos comes from our Poor Clare Sisters in Spokane.